Raleigh’s best known General and Cosmetic Dentist, Dr. Justin Russo, performs high-quality cosmetic and general dentistry stemming from a passion that he developed while realizing he could use his artistic abilities to make patients look and feel better, as well as improving their overall health by ridding them from common dental infections. 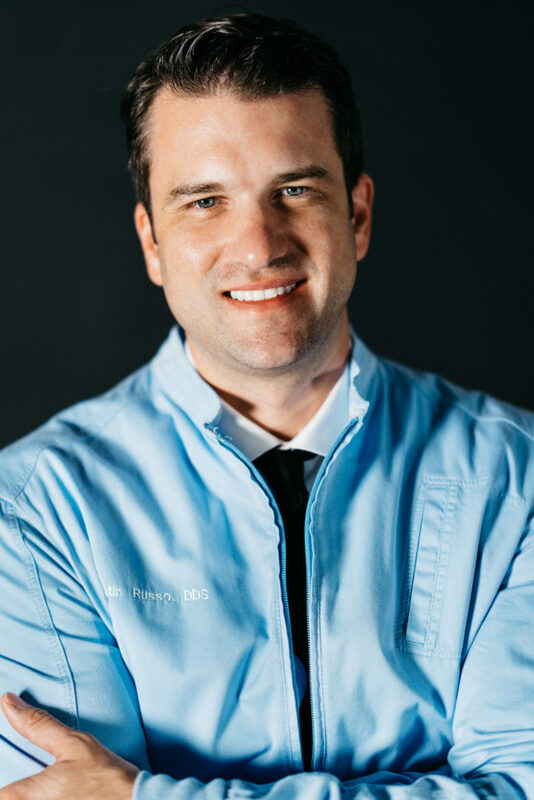 Originally from Pittsburgh, Pennsylvania, Dr. Justin Russo has called North Carolina home since 2005 when he pursued his dental education at the University of North Carolina at Chapel Hill, one of the top dental schools in the world. Dr. Russo has also completed surgical training and general dentistry residency at the prestigious Hartford Hospital and had also completed general dentistry rotations at the Togus VA Hospital in Augusta, Maine while having the privilege of serving some our our nation’s veterans who have sacrificed for our great country. Consistently fulfilling countless hours of continuing education in virtually every phase of dentistry, Dr. Justin Russo offers a broad scope of general dental services in addition to being recognized for his award winning cosmetic dentistry. 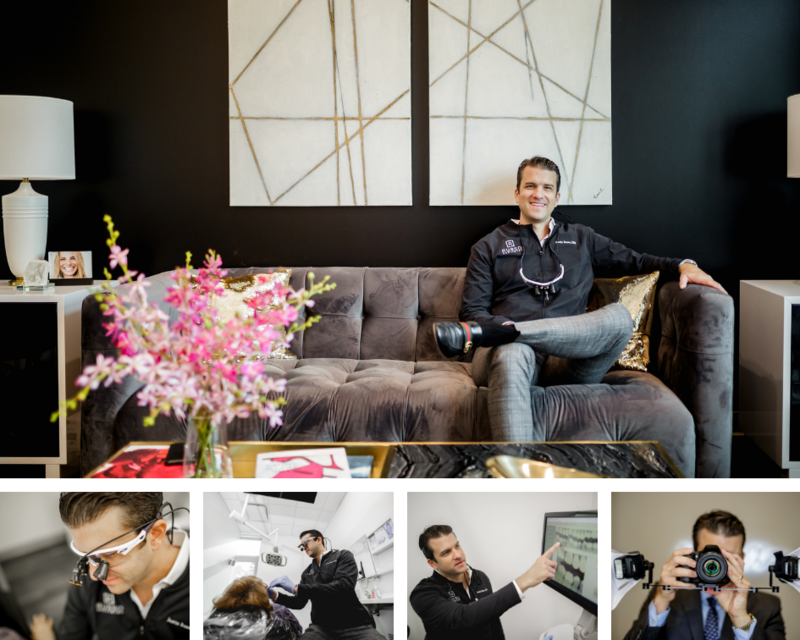 Dr. Justin Russo has experienced great advances in private dental practice as a result of his ongoing commitment and dedication to continuing education in dental advancements and earned membership into some of the most prestigious dental organizations in the world. Dr. Russo believes in being educational, transparent, and providing solutions to address and prevent dental disease, all while incorporating the latest in technology to detect early dental disease and prevent serious dental problems. When not practicing dentistry, Dr. Russo is spending time with his wife, Lesley, his daughters, Giuliana and Giannina and son, Rocco. Dr. Russo and his family are active members of St. Francis of Assisi Church. We are honored that you are considering Dr. Justin Russo and staff to be your family’s dental healthcare provider in Raleigh. 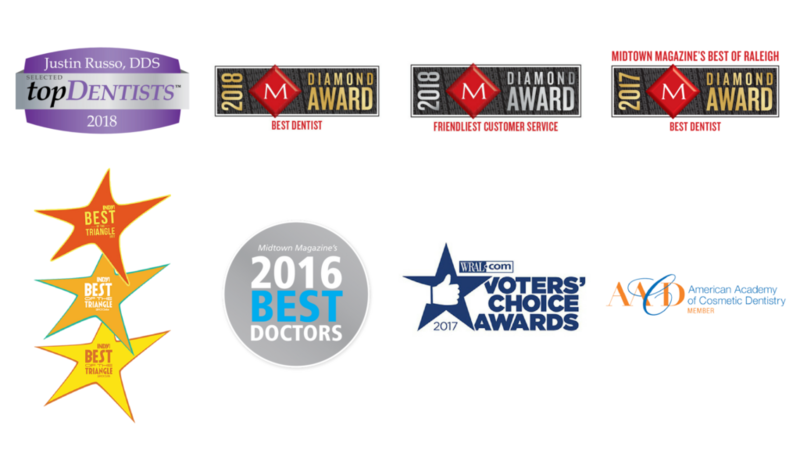 At the Triangles highly-referred, top-rated dental pracice, our commitment to you as a patient is that you will have the highest quality dental treatment for yourself and your family! Dr. Russo looks forward to meeting you!